Canada stands tall on the global stage as a country of innovators. Life-saving medical treatments like insulin, household items like the alkaline battery and sports such as basketball all started out here. As communities across Canada come together to mark an important milestone – the 150th anniversary of Confederation – let’s turn the clock back through the years to celebrate some of this country’s greatest inventions. Alexander Graham Bell was born in Scotland, but much of his research was carried out during his time living at a family home in Ontario. Bell invented the telephone in 1874, when he was in his late 20s, and it was commercialized in Canada in 1878. Insulin was trialed right here at the MaRS Centre in 1922, by Frederick Banting and Charles Best. At the time, they were working at the diabetes clinic inside the Toronto General Hospital. The pair carried out their first extraction of the hormone from the pancreas in 1921. Most people know Joseph Armand Bombardier’s name from the transportation company Bombardier Inc., which makes planes and trains. However, did you also know that his first invention was the snowmobile in 1936, which helped overcome harsh winter weather conditions. John “Jack” Alexander Hopps, Dr. Wilfred Bigelow and Dr. John Callaghan joined forces to pioneer the world’s first artificial pacemaker in 1950 – a small device that can keep a heart beating at a regular pace. Their pacemaker could only be used externally, but it paved the way for the internal pacemaker developed eight years later. This discovery marked a unique bridge between the worlds of engineering and medicine. Shortly after the Second World War, George J. Klein developed the electric wheelchair, an invention that would go on to improve the lives of disabled people everywhere. Klein’s career was devoted to inventions, since his skills were both practical and academic. Many people tell different tales about where poutine was invented. The most popular legend claims that it was first eaten in a small town called Warwick, located northeast of Montreal. Eddy Lainesse was a regular customer at the Le Lutin Qui Rit restaurant. One day he asked for a bag of fries and cheese curds – and after that this delicious dish took off. Restaurant owner Fernand Lachance eventually added gravy to the recipe to keep the food hot. The discovery of stem cells enabled the creation of better treatments for cancer and laid the foundations for further work in regenerative medicine. Scientists James Till and Ernest McCulloch published findings in 1961 that explained what stem cells are: those cells that are able to renew themselves, and repair and replace tissue in the body. Early prosthetics were not sophisticated, often leaving the patient uncomfortable. 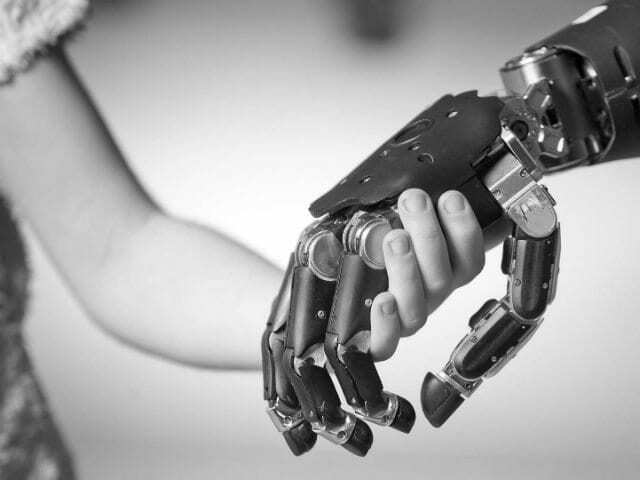 Canadian Helmut Lucas made a breakthrough in 1971 when he designed an electric prosthetic hand, which helped people who had lost limbs lead more normal lives. What will the next 150 years of innovation bring?